BCS Members Love To Learn! A common goal of BCS members is to always keep learning and improving our vocal skills. An excellent way to achieve this is to welcome visiting coaches, who always add new approaches and insights to our performances. 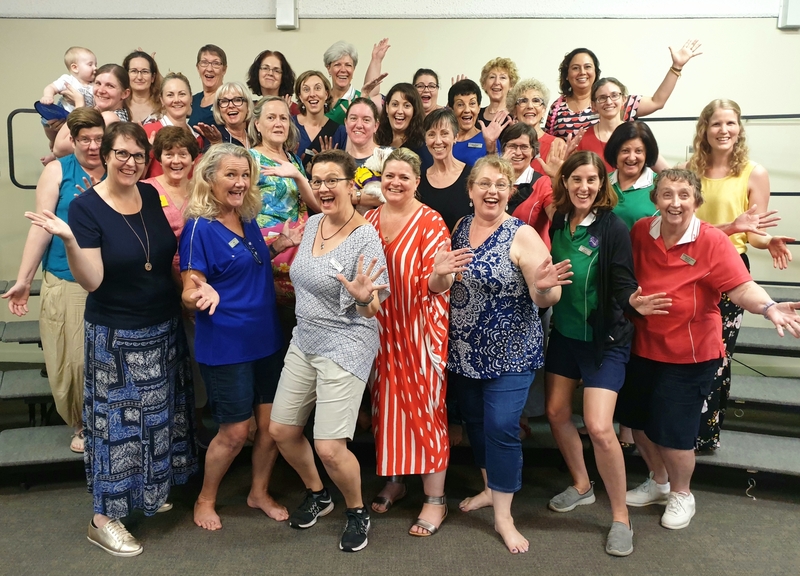 So far this year, we have benefitted from the skills and wisdom of an impressive complement of coaches at our Thursday night rehearsals: past Murrumbidgee Magic Chorus director Jill Harris, former BCS director Rose McGee, Glenda Lloyd – director of international award-winning chorus Brindabella – and most recently, international coach Lynda Keever, who is a Sweet Adelines International faculty member and contest judge. Glenda’s visit also included a weekend of intensive coaching for the choir, which has given us additional confidence in our abilities and allowed us to grow our sound. We are always appreciative of the education we are able to receive from the vast network of Sweet Adelines International coaches.